Born 9 Jan 1853 in Brighton, Sussex, England, the son of Smith Willard and Ann Goodale. He was the youngest of six siblings, Elizabeth, Sarah, Ann, Walter, Caroline, and Edward. 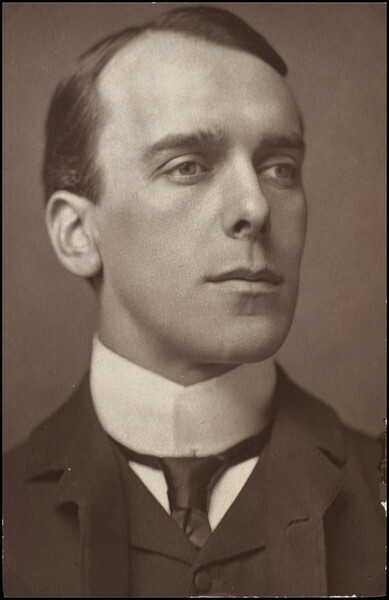 Willard, Edward Smith ‎(1853-1915)‎, English actor, who was particularly admired for his villains in contemporary melodrama. He made his first appearance on the stage in Weymouth in 1869 at the age of 16, and after some years in the provinces was in London, where he made a great success in Sims's The Lights o' London ‎(1881)‎ and in the title-role in Tom Pinch, a domestic comedy based on Dickens's Martin Chuzzlewit. He enhanced his reputation with his Captain Skinner in H. A. Jones and Herman's The Silver King ‎(1882)‎, James Ralston in Charles Young's Jim the Penman ‎(1886)‎, and Jem Dalton in a revival of Tom Taylor's The Ticket-of-Leave Man in 1888. In 1889 he went into management at the Shaftesbury Theatre, where he played among other parts Cyrus Blenkarn in H. A. Jones's The Middleman, and then went to America, where he appeared with such success that he returned there annually for several years, touring the USA and Canada with a repertory of his most successful parts. Among his later roles were the title-roles in Barrie's The Professor's Love Story ‎(1894)‎, Louis N. Parker's The Cardinal ‎(1903)‎, and a dramatization of Thackeray's The Newcomes as Colonel Newcome ‎(1906)‎, in which he made his last appearance on the stage. Edward Smith Willard is a 1st cousin 4 times removed on the Paternal side of the family. Goodale with some Field connections.